On a trip to Christel House South Africa, we were taken aback by a particularly frank note posted on the bulletin board in the nurse's office that would raise an eyebrow if not a protest if posted in an American school. The note gave advice to students about how best to deal with the urges that come upon pubescent teenagers all over the world. When we asked the nurse about the note and the picture that accompanied it, she said that it was an effort to deal with the number one obstacle to getting students to complete high school in South Africa. By the time they are 18, about a third of all South African girls have given birth at least once and most of the young mothers leave school for good. Christel House South Africa has attacked this problem with candor and compassion, recognizing that Christel House children face enormous challenges, ranging from neglect to sexual and substance abuse. As the note on the bulletin board shows, Christel House does not ignore the potential impulses of its students, any more than it ignores their need for food and a quiet place to study. Instead, it encourages students to make good choices in all aspects of their lives, with extraordinary results. 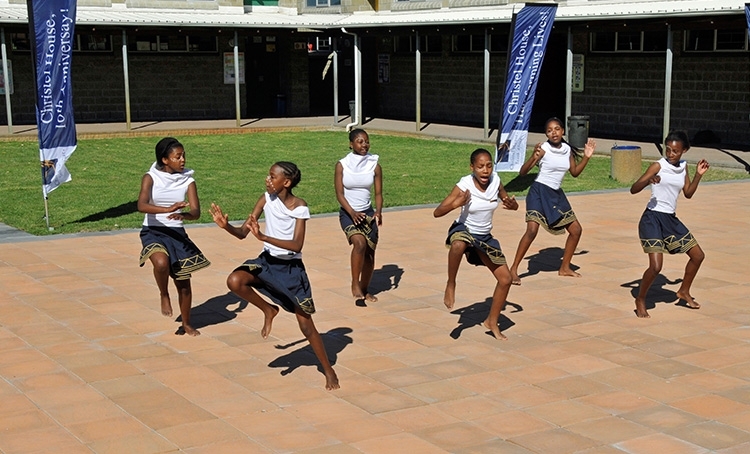 In the last 12 years, only 13 Christel House South African high school students, drawn from the poor townships around Cape Town, have become pregnant and only one has dropped out of school. In a country where less than half of all students manage to finish high school, the graduation rate for Christel House students is an astounding 99 percent. Christel House succeeds where other schools do not because it recognizes that schools must administer to more than the brains of its students. It must deal with their hungry stomachs, their sore feet, their tired eyes, and, yes, their awakening sexuality. That is one of the many reasons we support Christel House.